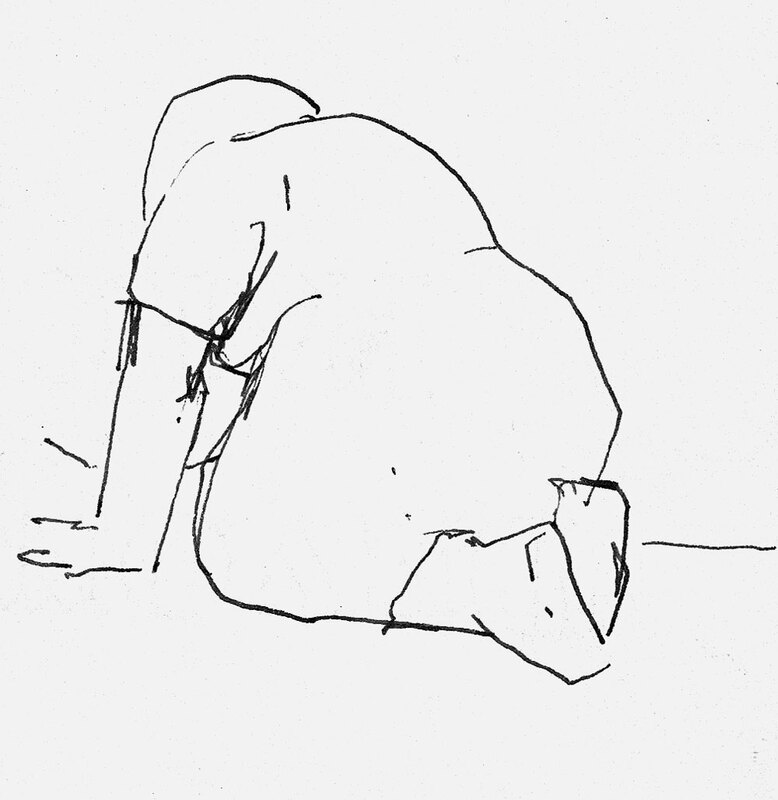 description A lightning pen-and-ink figure study of a stout, kneeling woman engaged in cleaning the floor, as seen from behind. 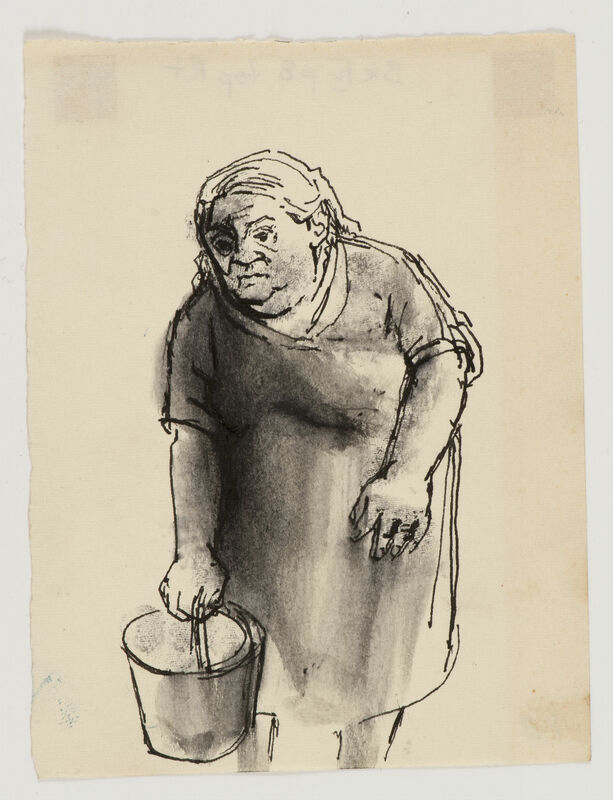 The work, made in Whitechapel, shows Frankfurther's eye for capturing the essence of her subject in a few simple lines, portraying her subject with both empathy and humour. 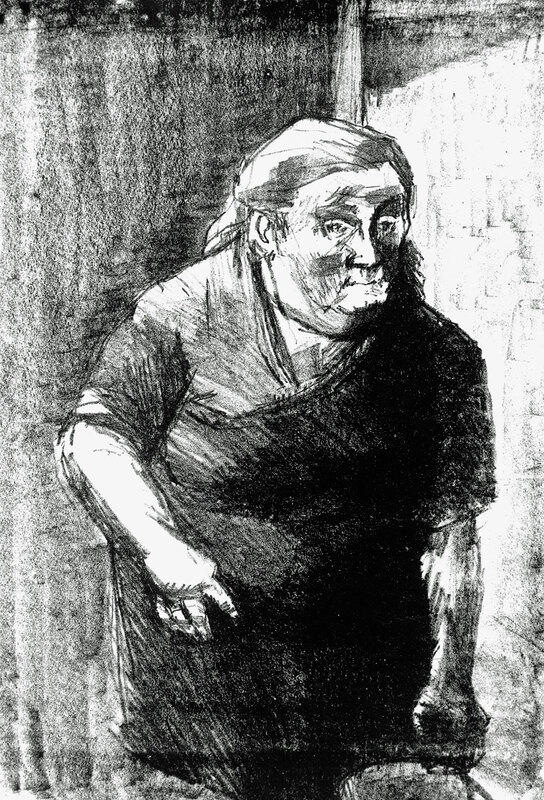 The subject is probably the same sitter as in the three-quarter length portrait 'Woman Cleaner'. literature ed., B. Planskoy, 'Eva Frankfurther 1930-1959: Paintings, lithographs and drawings' (London: Peter Halban, 2001), illus., p. 33.